The Government announced in August it would spend $10 million over four years to fund a Centre for Excellence to support people living with borderline personality disorder (BPD), which has been linked to the suicides of several young South Australian women over the past three years. The centre, to be located on the fringe of Adelaide’s CBD, will feature an employment and housing service for people with the condition, an “early years and new mothers’” program and a support service for people at risk of developing BPD. Speaking at the opening of BPD awareness week last night, Health Minister Stephen Wade said the centre was planned to open by mid-2019, with negotiations into the leasing of potential sites “well advanced”. “The Centre for Excellence will have a research function and will collaborate with tertiary education partners to inform evidence-based practice for continuous service improvement,” Wade told the audience. Wade said Dr Martha Kent, an Adelaide psychiatrist with expertise in BPD treatment, had been appointed as the centre’s “clinical lead”. He said the centre would be designed with a “hub and spoke” model similar to services in Victoria and New South Wales. There are up to 68,000 people diagnosed with borderline personality disorder in South Australia, most of whom are women. 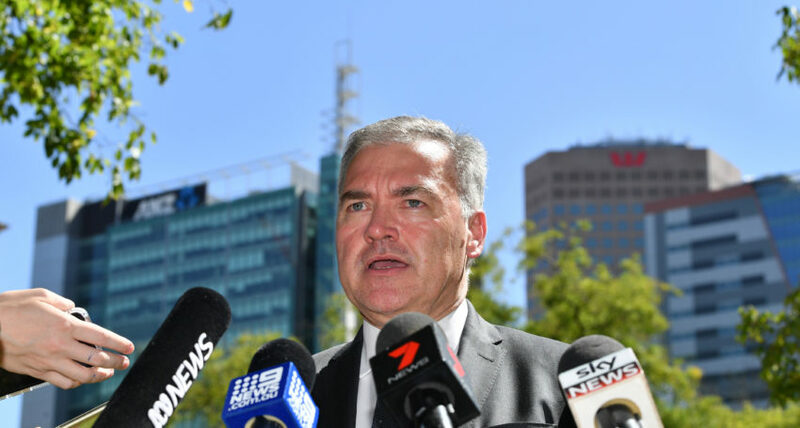 “The cost of BPD in terms of health, social and other services, and lost productivity, is calculated to be more than $300 million per year in South Australia alone,” Wade said. InDaily has published a series of reports since 2014 on the difficulty and trauma involved in securing appropriate treatment for those with BPD in South Australia, and the stigma surrounding the condition among some health professionals. Last night’s forum heard from government worker Aaron Fornarino, who was diagnosed with BPD in 1995 and who described the condition as an “amplifier of emotions”. “With BPD your emotions are quite intense and they can be really overwhelming at times – it’s quite hard for people to understand that,” Fornarino said. Fellow speaker Tania said she experienced “excruciating” stigma as a person living with BPD and had often been called derogatory names including “sook”, “drama queen”, “clingy” and “victim”. “Labels were leading to nights of negative self-talk and rumination,” she said. Borderline Personality Disorder advocates in attendance at last night’s forum called for the Centre for Excellence to build on the current level of support offered to people with BPD. “I think there needs to be – probably separate from the main unit – a unit for people under the age of 18,” one audience member told the forum. “At the moment for young people – adolescents – as far as I’m aware, you’ve got the Boylan Ward at the Women’s and Children’s (Hospital) and that’s it. Another audience member, whose daughter has BPD, said a support program for families and friends of people with the condition needed to be part of the centre. “Just this last week I saw my daughter have a meltdown and I needed to get her away from where she was, but of course that put stress on other parts of the family as well,” she said. Fornarino called for the centre to employ a mental health liaison officer who would advocate for people with BPD when entering the court system. “I saw a lack of understanding by the courts with BPD in particular,” he said. “We have what’s called a Mental Health Treatment Intervention Program that can be accessed through the courts (but) that’s not promoted very well, I don’t think a lot of lawyers understand how that can work. “I’d love to have some sort of mental health liaison officer as well if there was some sort of call out, so that they could attend with police or ambulance. Fornarino also called on the Government to introduce a program that assisted and identified men with borderline personality disorder who were in the prison system. “It (BPD) doesn’t just affect women, but with men, there’s a lot of suppression of emotions and it’s not always easy for them to discuss how they’re feeling,” he said. Wade said the Country Health SA Local Health Network was working with clinical leaders, people with lived experience and relevant stakeholders to co-design the centre’s model of care. If this article has raised issues for you, you can call LifeLine on 13 11 14 – or you can call the Mental Health Triage Service / Assessment and Crisis Intervention Service on 13 14 65.